No human being on Earth has done more to keep the Trump-Russia narrative in the news than Donald Trump. Similar arguments about the media’s “obsession” with the Trump-Russia story appear at The Federalist, The Washington Times, RT, and elsewhere. It is a ubiquitous but unexamined claim. And there are several serious problems with it. 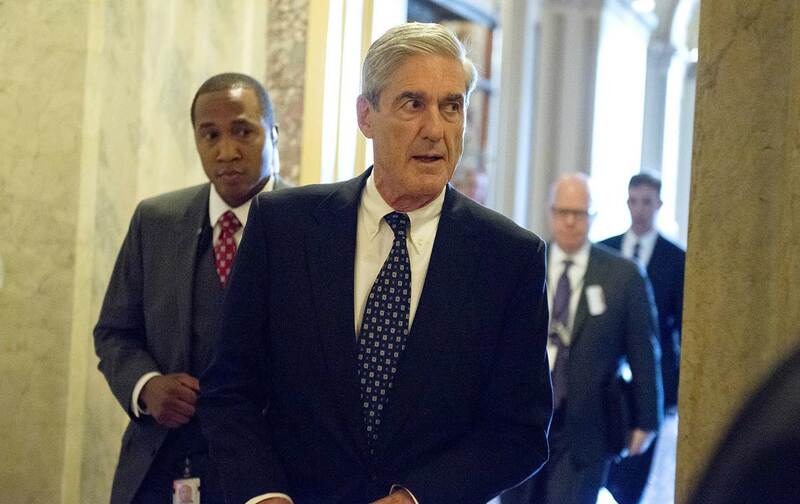 First, according to Barr, Mueller conducted an exhaustive investigation, issuing 2,800 subpoenas and conducting 500 search warrants, and confirmed the conclusions of the CIA, NSA, and FBI that Russian operatives “conduct[ed] disinformation and social media operations in the United States to sow social discord, eventually with the aim of interfering with the election,” and that “Russian government actors successfully hacked into and obtained emails” from various Democrats and “disseminated those materials through various intermediaries, including Wikileaks.” Those who have long contended that “Russiagate” was a story promoted by Clinton supporters eager to absolve her from any responsibility for losing to Donald Trump are hardly in a position to take victory laps over Barr’s letter to Congress. Second, as of this writing, we have not seen Robert Mueller’s report, nor had an accounting of why he made the prosecutorial decisions that he did. Barr’s summary is artfully worded, clearing Trump of conspiracy with the Russian government while remaining silent on whether the campaign coordinated with nongovernmental actors, and leaving unanswered the question of whether Trump obstructed justice. As Marcy Wheeler wrote for The New Republic, Barr had to “go through contortions to avoid charging” Trump with the crime. We should not allow the goalposts to be moved in a way that lets the president of the United States off the hook for potential felonies. And the crux of the story was always the possibility that the regime had pushed for sanctions relief as a quid pro quo for Russia’s assistance—a question left unanswered by Barr’s summary. Barr cleared Trump of criminal wrongdoing, but didn’t address the counter-espionage questions related to whether Trump had been compromised somehow as a result of negotiating the Trump Tower Moscow deal deep into the 2016 campaign, or through other business dealings. Several investigations also remain ongoing, and more indictments could theoretically be forthcoming in the future. We only know that Robert Mueller’s office is done charging people. But the biggest problem with claims that the media focused too much on the Mueller probe is the premise itself. While Russiagate has led to a cottage industry of Twitter-famous “Resistance grifters” making outlandish claims that Trump—and people like Glenn Greenwald—are Putin’s “puppets,” real journalists did their jobs covering an objectively huge story. Editor’s Note: An earlier version of this piece referred to Joe Concha as a media reporter at Fox. In fact, he is a reporter at The Hill, and made the comments quoted when appearing on Fox & Friends. The text has been corrected.